We lay in till late then headed out to the waterfront before stumbling into what turned out to be quite a popular dim sum restaurant. 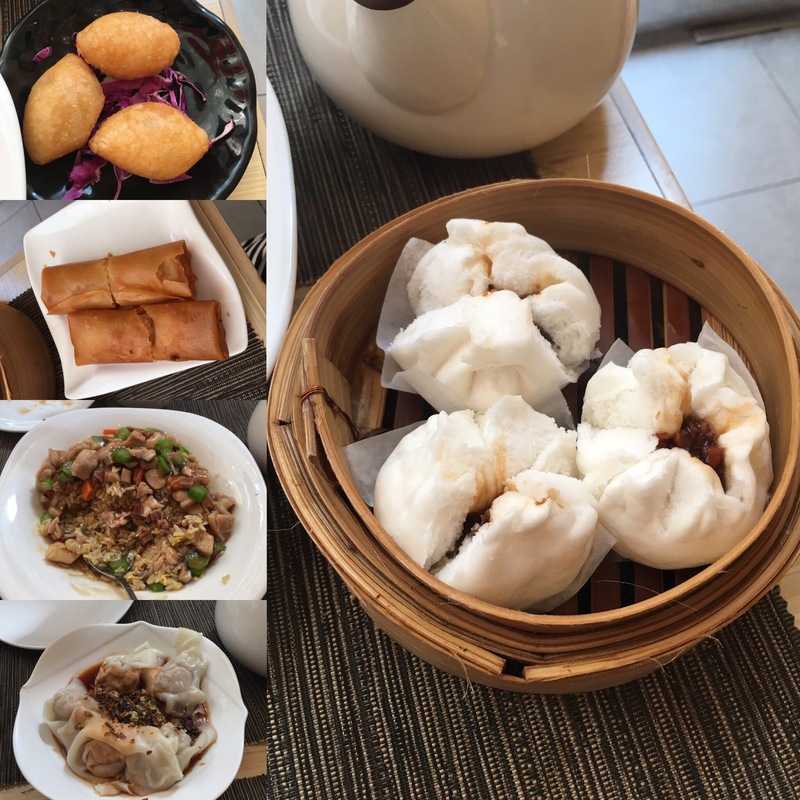 We had an absolute feast with spring rolls, seafood rice, chilli pork buns and BBQ pork steamed buns…sooooo good! As we waddled back up to the hotel we nipped into a few markets for a little peruse. I passed out for a few hours and then got ready and headed up to the rooftop bar for a couple of beers. Rob nipped out to meet his friend and his girlfriend who are also in Hong Kong and brought them back up to the bar where we had another drink before heading out to Temple Street market. Rob and I bought the cutest little tea set and did some haggling, while James and Becky bought some trinkets for people back home. As they’re both vegetarian we thought that street food probably wasn’t the best idea so headed to Knutsford Terrace again and had tapas and beer. We swapped stories of our experiences of China until it was time for them to get the subway back to Hong Kong island.